Shingles have changed dramatically over time. As a roofing contractor for almost thirty years, I have witnessed these changes and can tell you that homeowners have benefited greatly from them, especially in the area of warranties. In fact, when they choose a GAF Master Elite Contractor, homeowners can now benefit from some of the best in the industry warranties. In the past, roofing shingles were typically sold by weight and warranty time periods. There were light weight (about 215 pounds per square), mid-weight (about 240 pounds) and heavyweight (300-320 pounds). The heavier (and thicker) the shingles were, the longer the warranty period. When the industry standard changed from organic/asphalt to fiberglass/asphalt the weight and thickness became less important. By saturating a fiberglass mat with asphalt the manufacturers were able to create a stronger but lighter product. Weight became less relevant and the products were sold by warranty time periods such as twenty, twenty-five, and thirty years. In recent years, the manufacturers have changed the warranties to two different warranty periods: 20/25 years and Lifetime. When selecting your shingles, it is important to know how these warranties work. Under the standard agreement, the manufacturer will warrant against defects caused during the manufacturing period. Some of these defects are blistering, delaminating, and improper sealing, among others. The 20/25 year shingles come with a 100% material and labor guarantee for the initial ten years the shingles are on the home. Beginning in year eleven, however, the manufacturer will no longer pay for the labor to install the new shingles and they will only pay a pro-rated portion of the cost of the new shingles up until the 20/25 year period expires. Also, they will not reimburse the owner for the cost of incidental material, such as felt or nails. The lifetime warranty terms are basically the same with an extension of the end of the term. This, however, begs the question: How do you calculate a pro-rated amount based on a lifetime warranty? Nobody has been able to satisfactorily answer that question. The problem is easily resolved by dealing with a GAF Master Elite Contractor like Colony Roofing & Exteriors. We can offer our customers the Weather Stopper System Plus Limited Warranty, Silver Pledge Limited Warranty, or the GAF Golden Pledge Limited Warranty. Your roof will be as beautiful as you had hoped and will add not only to the aesthetic value of your home, but will likely increase its market value should you choose to sell. Plus, this warranty is transferrable to a second owner for minimal fee, which should be attractive to a new buyer. At Colony Roofing & Exteriors we are proud to be a GAF Master Elite Contractor. 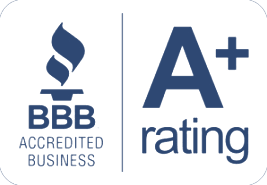 We have also received the Angie’s List Super Service Award and have an A+ rating with the Better Business Bureau. We are the roofing contractor who will always give you a fair price and an excellent product. 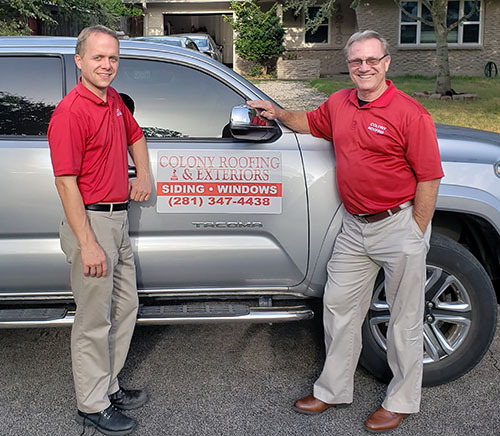 Let us make you another satisfied Colony Roofing and Exteriors customer! Call us today at 281-347-4438!